Artificial lift is essential for nearly every oil and natural gas well, and is often needed right away. Oil & gas companies need an artificial lift solutions provider they can trust, and Liberty Lift fits the bill. Our pumping units are the product of more than a century of engineering, design and operational management experience. Our technology is proven, our solutions are adaptable, and our support team is responsive. With Liberty Lift, you’re always prepared. When pressure is needed, Liberty Lift can provide it, with the best pumping unit technologies available on the market. But Liberty Lift’s mission isn’t just to sell artificial lift equipment. Our mission is to leverage the most advanced design and engineering methods in producing a superior artificial lift solution. Liberty Lift’s iron is the product of decades of engineering experience, and API quality and build standards. Liberty Lift’s technology is proven and perpetually iterated on, and our support team is always available, with full fabrication, machining and delivery capabilities. There isn’t a weak spot in Liberty Lift’s operation. When an oil or natural gas well isn’t under enough pressure, Liberty Lift can turn it up, using its leading edge technology and solution building. Oil & gas wells pose some of the most challenging environments on the planet, and well operators are tasked with navigating those environments while remaining productive and, most of all, safe. Liberty Lift’s artificial lift solutions are the keystone in ensuring both. Our design, manufacturing, installation and support capabilities are tops in the market, and we can operate anywhere in major U.S. drilling zones. Our product offerings include beam pumping units, gas lift systems, hydraulic jet pump units, and our long stroke technology, the XL Long Stroke. Beyond our iron, Liberty Lift can provide a full range of oilfield services and in-facility support. In the field, our team can install pump units, replace rods, change out belts and prime movers, optimize units and perform most forms of preventative and ongoing maintenance. It’s all in a day’s work for the best team in the business. Oil & gas companies need a cost-effective artificial lift solution. Liberty Lift’s mission is to develop those solutions for its clients. We aren’t just focused on the present or the future, but develop solutions that optimize production during every phase of the well’s lifespan. Liberty Lift can promise that level of cost effectiveness because we have the best engineers and technicians in the industry. We design the technology, we build it, we install it and we support it. Liberty Lift is a valuable partner at every level. Every piece of technology eventually needs attention, no matter the quality of design and engineering behind it. And without responsive, capable support, oil & gas companies are risking their operations. That’s why Liberty Lift takes pride in its support team, because our artificial lift solutions don’t end at purchase or installation. 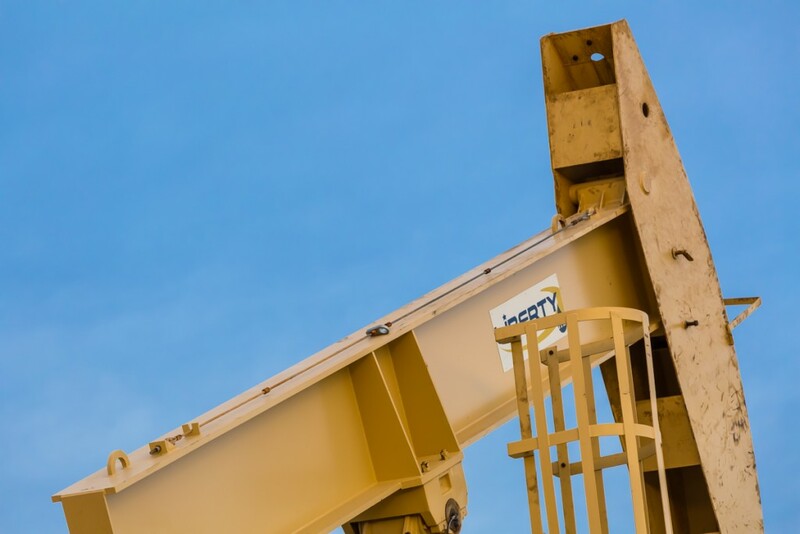 Oil and natural gas lift is a challenging process, and when equipment needs repair or replacement, Liberty Lift’s technical crew is there to facilitate the job. Our technicians can provide services in the field or at one of our convenient service centers. Onsite, Liberty Lift can inspect and maintain pumping units and their components, including rods, belts, prime movers, sheaves and bearings. In one of our facilities, Liberty Lift can repair, fabricate and test a huge variety of components. Our clients can also take advantage of our extensive inventorying capabilities, as we keep both new and reconditioned pump units, and their components, on hand for rapid turnaround. And if our clients need help getting those components or units to their destination, Liberty Lift can provide trucks and cranes to further reduce delivery time. Support makes solutions happen, which is why Liberty Lift doesn’t cut corners here. Some artificial lift system providers are only capable of selling or building. Liberty Lift can do much more, with a deep pool of engineering and technician talent to pull from. We draw up every one of our pumping units, manufacture them to beat API quality and engineering standards, and ensure they keep running with the industry’s best support team. Liberty Lift organizes all of its operations around creating total artificial lift solutions, with responsive onsite or in-facility services and focusing on constant product and service improvements. Liberty Lift’s beam pump units emphasize the technology’s inherent ruggedness and flexibility. With two beam pump models to choose from, the High Efficiency (HE) and Enhanced Geometry (EG) models, our clients can finely tune their oil and natural gas operations. Beam pumps remain one of the most ubiquitous forms of artificial lift, as their scalability and adaptability to changing well conditions is difficult to match. As such, it’s a tough technology to improve on, but Liberty Lift has done so. This is particularly true with our EG design, which provides extended crank rotation – up to 192 degrees – for better pump fillage and additional work. Both the HE and EG are replete with durability and safety features. For example, both come with bearing assemblies built with cast and forged steels, as well as high alloyed steels for additional strength. Both are also designed with a positive linkage system brake assembly that allows for maximum stopping power. These are just a couple of the many design features found in Liberty Lift’s beam pump units, and a couple of the reasons why our artificial lift systems lead the way. Liberty Lift’s artificial gas lift systems make the most out of the impressive technology, which is enjoying a massive boost in prevalence thanks to large plays like the Permian Basin. Gas lift systems are the best equipped option for wells where heavy prevalence of solids is expected. They are also ideal for directional and deviated wells. Our artificial gas lift systems combine this highly capable technology with operational simplicity. Liberty Lift’s artificial gas lift units can be set for intermittent or continuous use, serviced after retrieval or through wireline and are built with few moving parts. In short, they are adaptable, flexible systems that are designed for maximum reliability. Liberty Lift includes all necessary valves and mandrels with the gas lift system, and these mandrels are built to API 19G1 standards. We also include all proper completion equipment to facilitate operation. Artificial gas lift systems are a quickly emerging option for oil & gas companies working wells in U.S. drilling zones, and Liberty Lift can provide a cost effective, rugged model for any well. The XL Long Stroke is Liberty Lift’s version of long stroke rod technology, which promises several benefits. Rod pump systems are nearly as old as well stimulation itself, which means they are proven pieces of iron. In recent years, the introduction of long stroke systems has elevated the tried and true rod pump system to new heights, and Liberty Lift can leverage this technology to an extremely efficient degree. The XL Long Stroke turns out a 306-inch stroke length, greatly reducing travel time and allowing for much better volumetric efficiency with each cycle. In addition to better efficiency, the XL Long Stroke produces a gas compression ratio that generally removes gas locking. Cost benefits are realized on the maintenance side, as well. Fewer cycles mean less wear on bottomhole components, including valves. And slower cycles keep compression forces to a minimum, reducing wear further. Liberty Lift designs and manufactures every piece of the XL Long Stroke, so we can repair, fabricate and deliver every component with almost no downtime. Put it all together and the XL Long Stroke is a marvel of technology and productivity. Liberty Lift continues to succeed in the artificial lift industry for many reasons. Our leadership team has more than a century’s worth of experience. Our engineers draw up all of our products. We manufacture to exceed API standards. Our support team is the most responsive and talented the market has to offer. But perhaps the most important component to Liberty Lift’s achievement is its willingness to give the client what they want, when they want it. We make that possible with our full component fabrication and modification capabilities, as well as an inventory of parts like mandrels and valves. Our clients face never-ending challenges, and Liberty Lift offers a never-ending list of solutions. In striving to give clients everything they need to succeed, we also partner with other cutting edge companies to provide even greater artificial lift products, such as our versatile hydraulic jet pump. Together, Liberty Lift and JJ Tech have produced a hydraulic jet lift system that is fit for nearly any well environment. Hydraulic jet pump units are prized for their excellent versatility, to the extent that they are often chosen before operation plans are set in stone, as they can be adapted to most settings. This is also true of Liberty Lift’s and JJ Tech’s hydraulic jet lift system. The Liberty Lift and JJ Tech hydraulic lift system is backed by Wanner Engineering, which is behind the surface pump design. The surface pump is built with numerous monitoring features, including pressure and discharge sensors, a vibration sensor and a pump oil level gauge. JJ Tech’s subsurface system is capable of normal and reverse flow capabilities, giving it the ability to compensate for heavy solids immediately. Downhole components are constructed and coated with high durability material, allowing the subsurface parts to shrug off corrosion and erosion. Liberty Lift and JJ Tech have taken an already impressive artificial lift technology and improved it in every way.